As Cyprus battles with a collapsed banking system, fellow Med-island state Malta is pushing for investment. By Meghna Pant on Gulf Business, 04 August 2013: "Recent events in relation to the collapse of the Cypriot banking system and the Eurozone’s unprecedented plans for its restructuring programme have brought to the fore questions about other supposed European tax havens, such as Malta and Luxembourg. 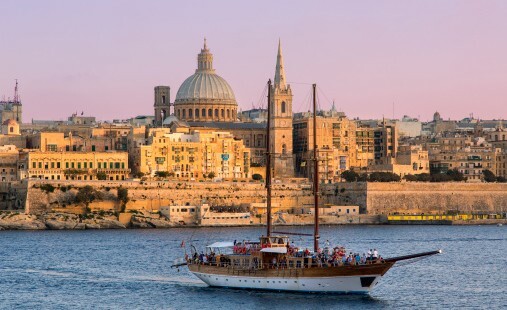 Malta, in particular, has borne the brunt of comparisons, due to its similarities with Cyprus. After all, both are Mediterranean island states, members of the European Union (EU) and the Eurozone, and both have a strong track record in financial services. Yet, on closer examination, these comparisons seem fundamentally flawed. Not only do Malta and Cyprus have different economies, but also their banking systems are quite different from one another. The Cyprus crisis has been compounded by the high exposure of Cypriot Banks to Greek debt. This was exacerbated when the EU introduced a haircut on Greek bonds in 2011. And since the island’s financial sector constitutes almost 40 per cent of the local economy, the ripple effects of a banking system shutdown were felt across the economy. Malta’s banking system, on the other hand, paints a different scenario. The local banks have strong solvency ratios, and, with capital adequacy ratio above...read on."